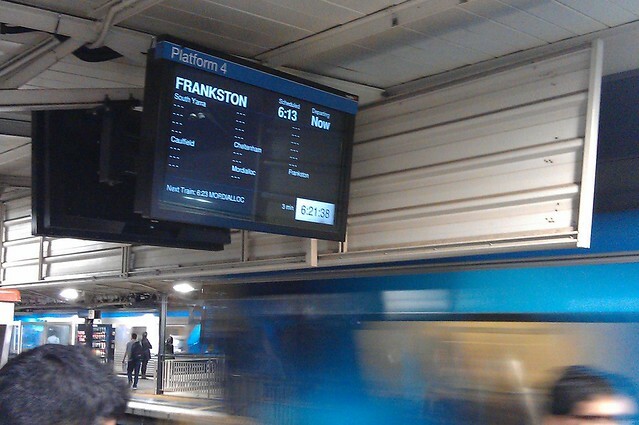 We already knew Metro was getting into the habit of having trains skip stops when running late, but now they’re taking it to new heights: a busy service to Frankston on Friday night was altered to bypass the majority of its scheduled stops. For many passengers waiting on the platform, this was effectively a cancelled service. And we can only hope those aboard the train were told it was skipping so many stops. While this train was scheduled to run back into the City after reaching Frankston, plenty of others at that time were going to stabling and could have run that citybound service to avoid knock-on delays. Or they could have altered the return service, which was against the peak direction and would have disadvantaged fewer passengers. This is clearly Metro putting punctuality statistics ahead of passengers. Has this happened to you? Leave a comment on our Facebook page.